So you’ve recently given birth and now you’re ready to move your body again. Before you jump back into your old workout, HIIT class, or heavy cardio sweat sessions lets rebuild your fitness foundation and get you moving the right way in this special 4-week, 7 session series dedicated to new postpartum women. This program is designed so you can really maximize your return to fitness. Download my FREE 20 minute workout! 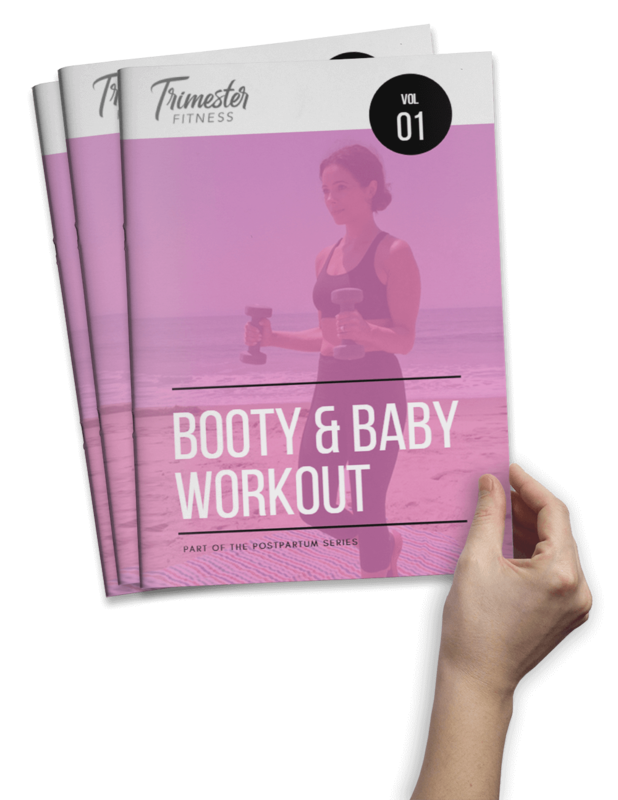 Workout with your baby while tightening and toning your booty. Thank you for your interest! You'll receive the PDF in your inbox. Move your body safely and effectively through a circuit-style, functional strength training program and connect with other new Moms. This is a closed group setting where women will meet twice weekly and learn the fundamentals of postpartum fitness. Each week’s session will build upon the previous weeks exercises. Starting with bodyweight and bands and progressing to moderate weights we will focus on breathing, core connection, mobility, form and technique; building up your strength and stamina every class. This is fun, but you’re here to work! - Reconnect with your pelvic floor. She's been working overtime the past year. Lets reconnect and give her some love. - Improve posture and balance. Between months with the bump and breastfeeding we will focus on improving your alignment. - Strengthen your total body. Lets wake-up your under active muscles and get you feeling stronger all around. - Learn to move optimally through motherhood. Gain tips and tricks on how to move in a way that supports your diastasis recti, relieve low-back pain, and apply mechanics for carrying groceries and a car seat at the same time. Your new life will have you moving in ways you didn't think possible. Mamas, don’t forget between all the baby classes and activities that it’s important to make time for you and your health. Join a supportive, encouraging and fun environment and connect with other amazing women. It’s the new baby group! Sign-up at the bottom of this page or email Meghan at info@trimesterfitbody.com to book your spot! *Diastasis recti and incontinence friendly workouts. There are plenty of options when it comes to private sessions and small group training. Go to the MindBody app to purchase your package and book your spot today! Interested in training together? Get in touch now! Are you ready to train together? Ladies, your health is important to me. I started this series because women who have trained with me have said they only wish they knew about this information sooner. This is an incredible foundational program that you can take with you forever and use in your favorite workouts.